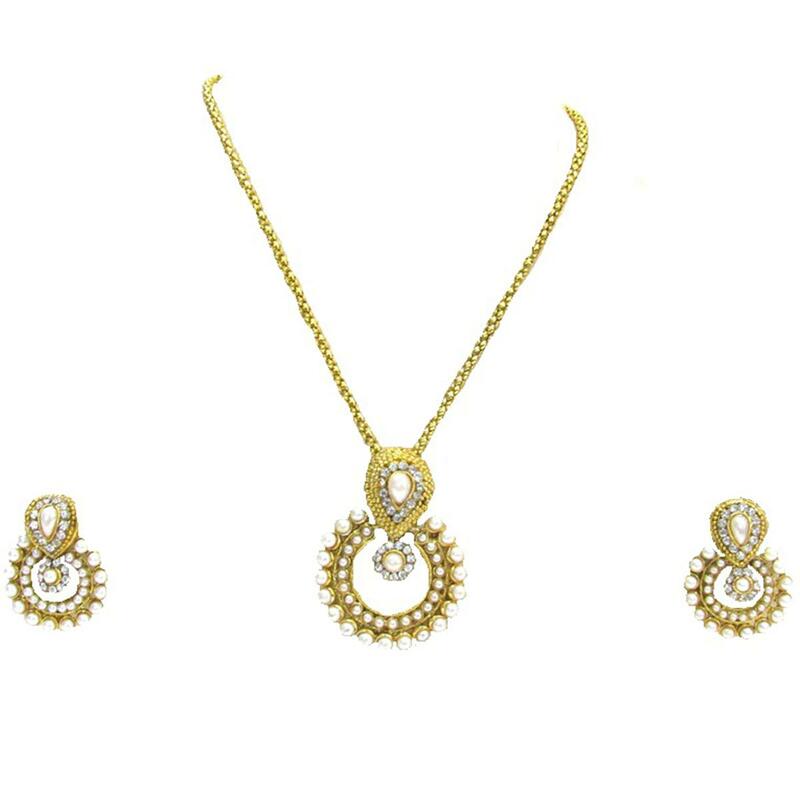 Gift yourself the classic pendant set that will enhance your natural beauty. 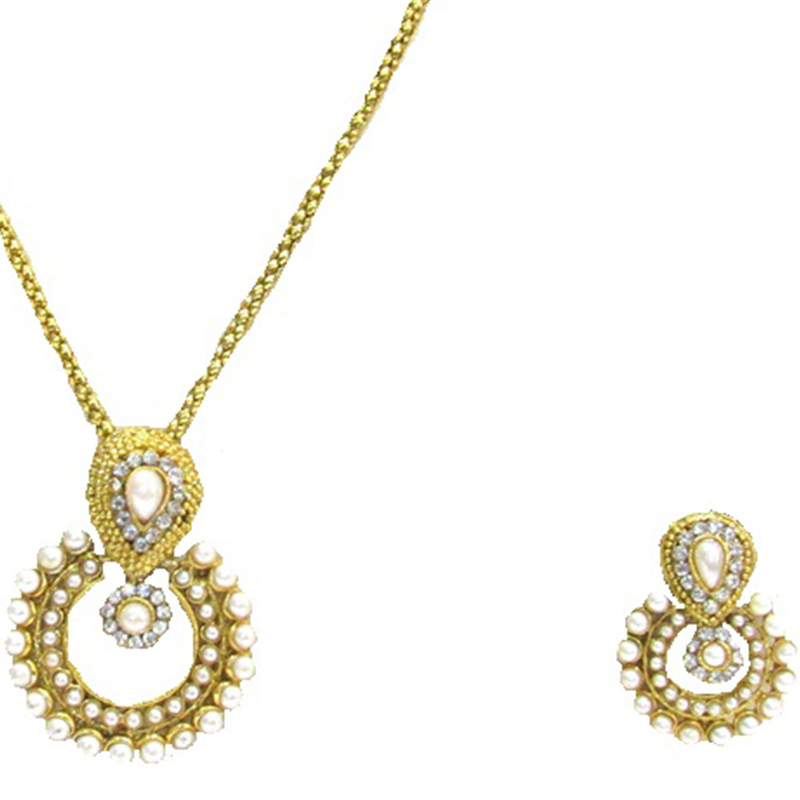 This pendent set is made up of pearl and gold finishing with intricate design to give a rich look. 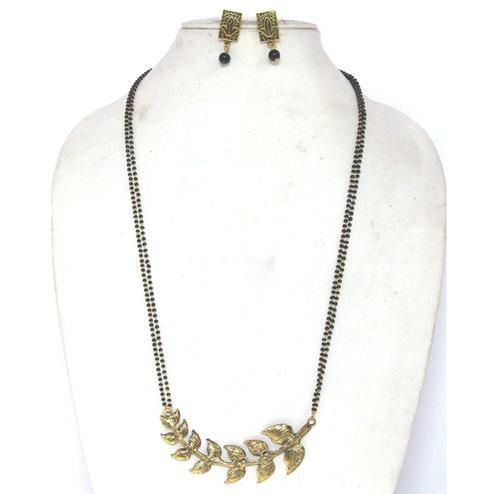 It is made from high quality alloy material that makes it very skin friendly, anti-allergic and safe for skin. 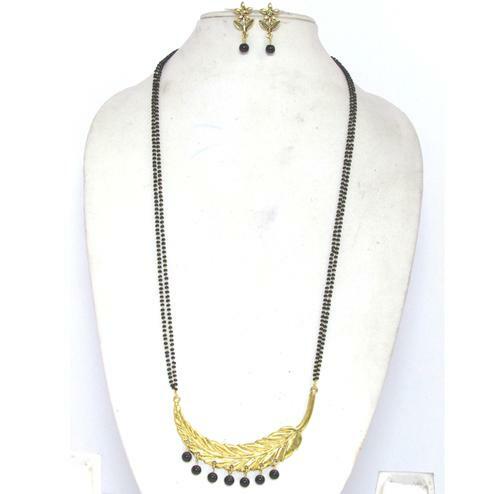 This pendent set will complement any indian attire. 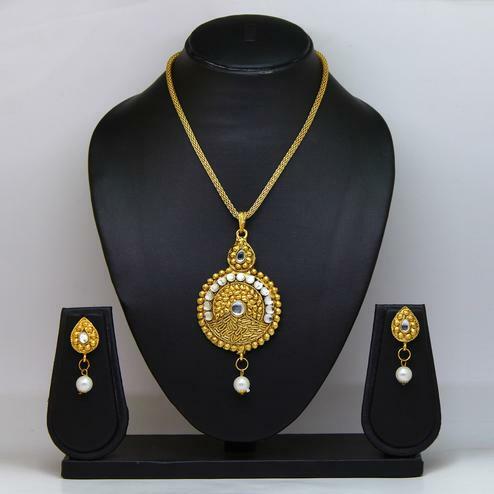 This set include a pendant, earrings which is bound to fetch you many compliments. Note:- the actual product may differ slightly in color and design from the one illustrated in the images. Care Avoid contact with perfume, sprays & chemicals.